Chairperson of the Stavropol Krai Organization “Union of Artists of Russia” (since 2005). Corresponding member of the Russian Academy of Fine Arts. Award winner of the International Art Fund Laureate and Award winner of Russia and international exhibitions. 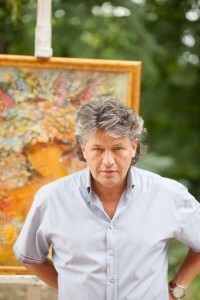 1983 – graduated from Stavropol Art School. Since 1991 member of the Union of Artists of Russia Since. В 2011 году основал первую негосударственную картинную галерею современного изоискусства в Ставрополе. 2009 – “Worthy Man medal” of the Russian Academy of Fine Arts. 2010 – Gold medal “Union of Russian Artists” Reward Symbol of the Union of Russian Artists. Participant of more than 100 exhibitions in Russia and abroad. Lives and works in Stavropol.